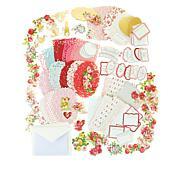 Make a statement that pops out from the rest with the essential Pulley Card Kit. Anna makes vintage crafting techniques simple and easy for everyone! 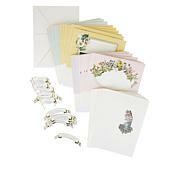 You get everything you need to create 20 amazing greeting cards you can use for a variety of occasions. 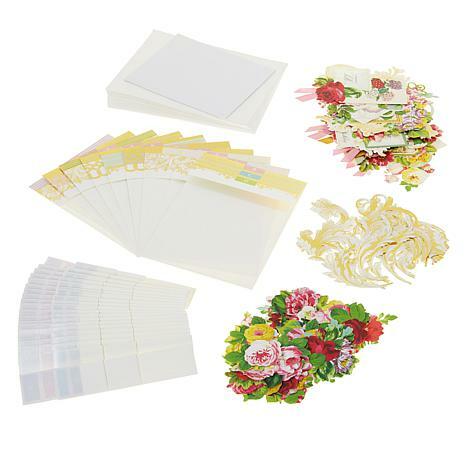 When you're done, store everything away in the convenient folio case to keep your creative creations safe! Having a great time making these! These are so fun to make. 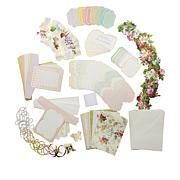 The assortment of embellishments is huge and the directions for assembling are very clear. Made a 'thinking of you' bouquet for a friend's mom who is in hospital. It will definitely brighten her day. I love almost everything Anna comes out with but this 3-d looking card is really neat!! My sister said you should sell them!!! I hated to tell her it was a kit I bought but I did lol. They are easy to make and so gratifying when u finish!! To me its just plain fun!!! You wont be disappointed!! This kit is a lot of fun. Really makes a fun and unique card.